It was ten years ago this month that Voca Lyrica made its first overseas concert trip to Australia and followed that up with subsequent trips to Europe (2011) and the British Isles (2014). This year’s much-anticipated travel will be unique in several ways. The tour itself will be by riverboat, down the beautiful blue Danube from our starting point in Passau, Germany, to the end of the cruise in Budapest, Hungary. The allure of traveling in the equivalent of a floating hotel for most of the days of our trip was something we couldn’t pass up. Each day will be spent exploring the amazing towns and cities of Central Europe and giving concert performances in historic churches along the way. Those singers who signed up for the trip (we all pay our own way) have been rehearsing some of the music for the trip since January and then have been learning the rest in rehearsals in May and June. 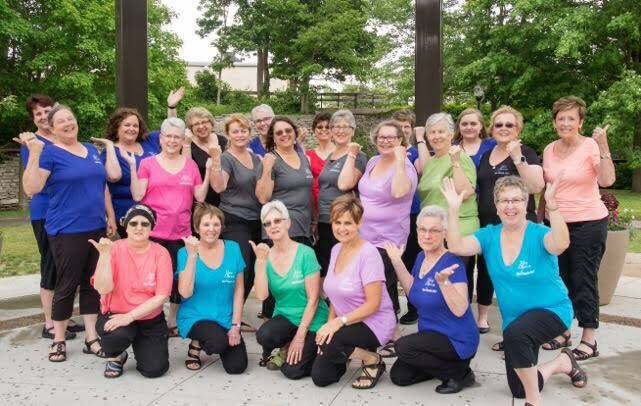 Our rehearsal period will culminate the weekend of June 23-24 when all the singers and our accompanist will meet for an intensive weekend of rehearsals to polish the music for the concert tour and then give an informal concert of that music on Saturday, June 24 at 4:00 p.m. at the United Church. The public is welcome to attend this concert to hear the music Voca Lyrica will be taking to Europe. Our director, Ginny Kerwin, has selected music that is both appropriate for church performances but also represents American music. Some of the tunes are gospel-oriented, like “Wade in the Water,” “Ascribe to the Lord,” and “I Wanna Be Ready,” one called “Invitation” is shape-note singing, one titled “Lineage” is Native American inspired, and several are more traditional, like “The Captive’s Hymn,” “Sanctus,” “Amazing Grace” and “The Gift to Sing.” Half of our music is accompanied and the other half is a capella, partly because of the stipulations for our concert in Vienna. Concerts are scheduled to be presented in Regensberg, Germany, Cesky Krumlov, Czech Republic, Vienna, Austria, Bratislava, Slovakia, and Budapest, Hungary. As always, Voca Lyrica hopes to represent our home town of Big Rapids, the state of Michigan, and our country in the most positive way, through the universal language of music.